I've never really been a big drinker but I do enjoy the odd gossip over a cocktail or two with friends. 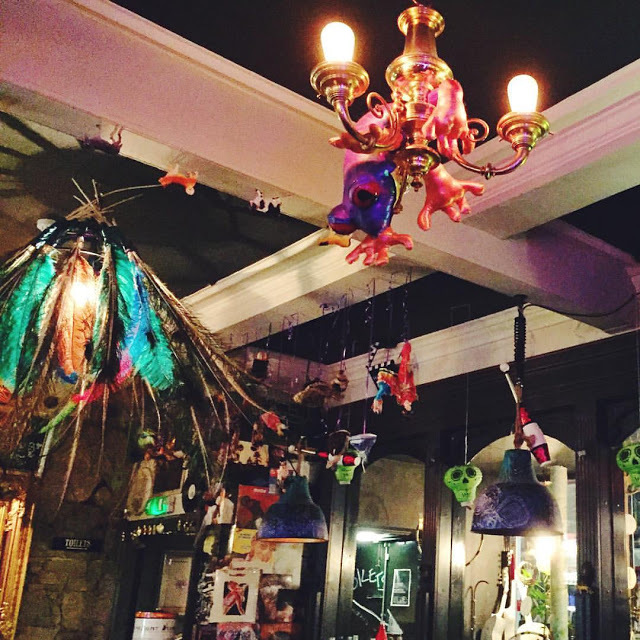 Luckily for me, Edinburgh has an amazing selection of bars that offer amazing an unique cocktail menus. Ranging from bargain drinks to more high class treats there's something for every taste and every budget. I've summed up a few of my favourite cocktail bars here but there are so many more. What I love about Edinburgh is that new places are constantly opening so there's always somewhere fresh and exciting to visit. Panda & Sons is one of Edinburgh's worst kept secrets. On arrival at the location, this bar looks like a barber shop. 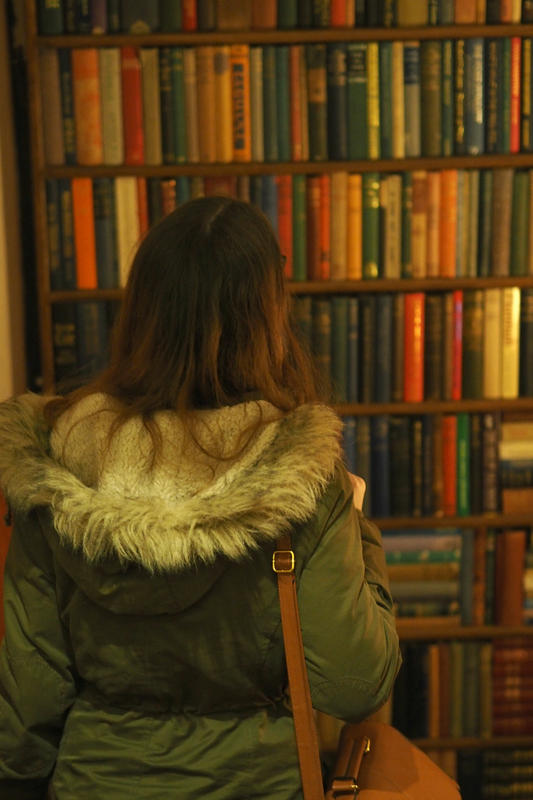 Upon entering and passing through a bookshelf doorway, you'll find yourself in an underground bar. The atmosphere here is a bit higher class and the place is just indescribably cool. 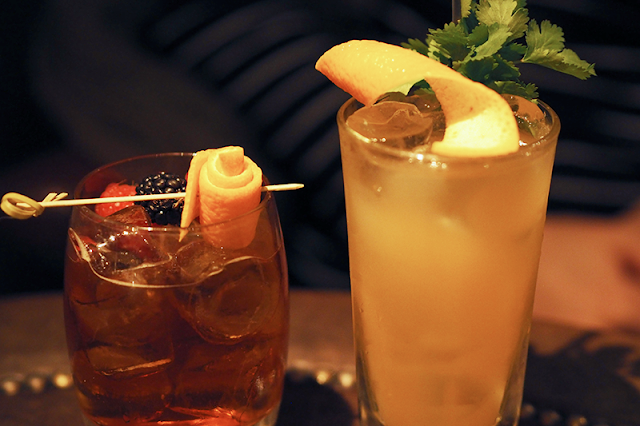 The cocktails are a little bit on the pricier side but they're worth it for the unique ingredients and the atmosphere. I'd recommend the Robinson Crusoe. Somewhere you just have to see for yourself. The Dog House is one of my favourite pubs in Edinburgh and I literally never stop going on about it. Mainly because the owner brings his bulldog, Hero, to work with him. The decor is eclectic but a lot of fun and I notice something new every time I go in. The cocktails are cheap at £4 and the relaxed attitude makes it a favourite amongst the university's student population. My favourites are the watermelon martini and the cosmo. 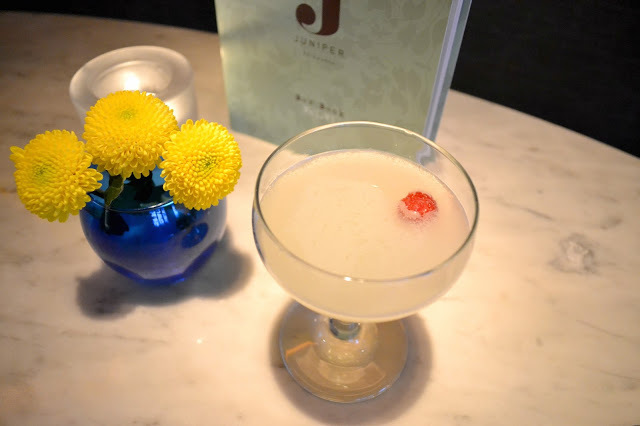 With a slightly classier feel, Juniper is located in the 20 Princes Street Hotel and offers a wide range of cocktails. 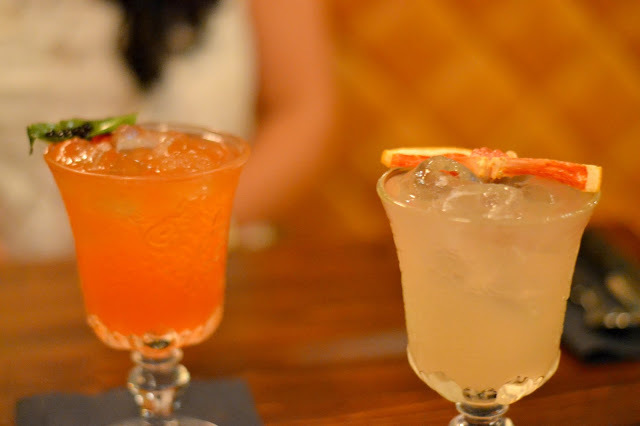 I was lucky enough to be invited to their new cocktail menu launch last year and really enjoyed sampling a few favourites from the menu. This location has a great view of the Scott's Monument and the Castle so would be an ideal spot for a birthday/function. The menu is inspired by areas of Edinburgh which I think adds a lovely twist if you're familiar with the city. I tagged along to Foundry 39 with Leda when she was invited to review the bar for the student newspaper. We weren't overly blown away by the food but the cocktail menu was excellent. Possibly one of the most unique cocktail menus I've ever read. We shared 4 between the two of us so I really feel like we got a good gauge. All of them were delicious, fresh and maybe most importanly - strong. I'd avoid eating dinner here but would happily have a catch up over their fantastic cocktails with a serving of their delicious caramel chilli wings. When Charlotte was through in Edinburgh recently we went for cocktails and a catch up at Heads and Tales. A very sophisticated underground cocktail bar in the city centre. 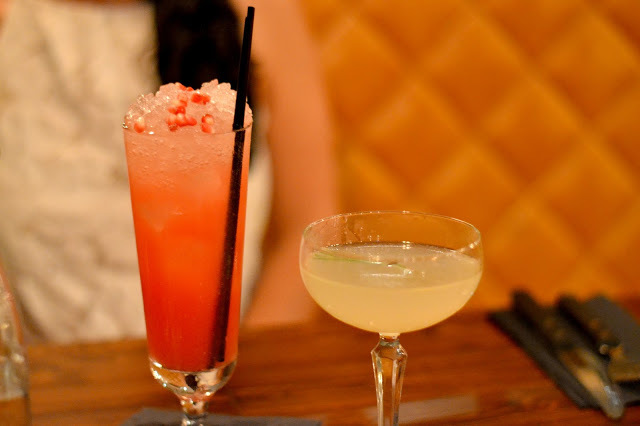 Charlotte had been invited to review and we tried out some of their DIY gin cocktails and bar snacks as well. For the DIY cocktails you get to chose your glass, gin and a flavour and then the bar staff create something to match everything up. I decided to go for a rocks glass with Haymans Old Tom gin and cardamon flavouring. A little unusual but the cocktail was delicious. I definitely prefer strong flavoured cocktails to sweeter ones and Heads and Tales definitely provided. 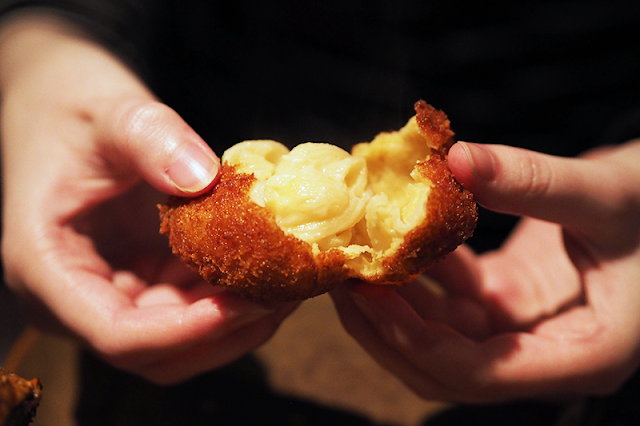 We also snacked on haggis bon bons, mac and cheese bites and delicious BBQ. This bar is owned by the same people as The Huxley, a favourite of mine, so some of the menu items were very similar. This place was beautiful and a great place to escape to for a gossip. It's so good to get insiders tips on where is good for drinks. I love Edinburgh and this guide will come in handy if I get to visit soon. Great post.